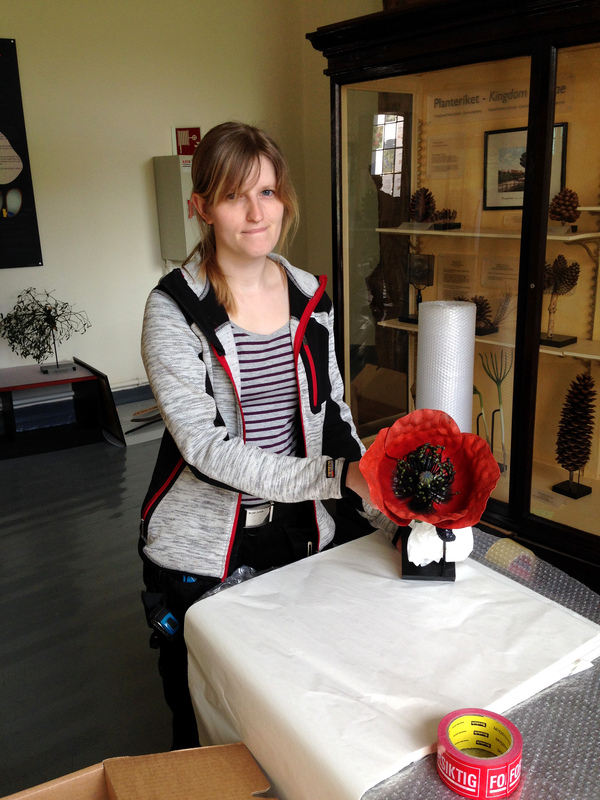 Fragile models of flowers are being handled. 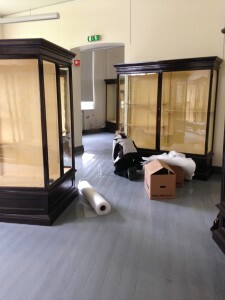 The moving project started on dismounting the 1th store exhibitions at the Natural History Museum. 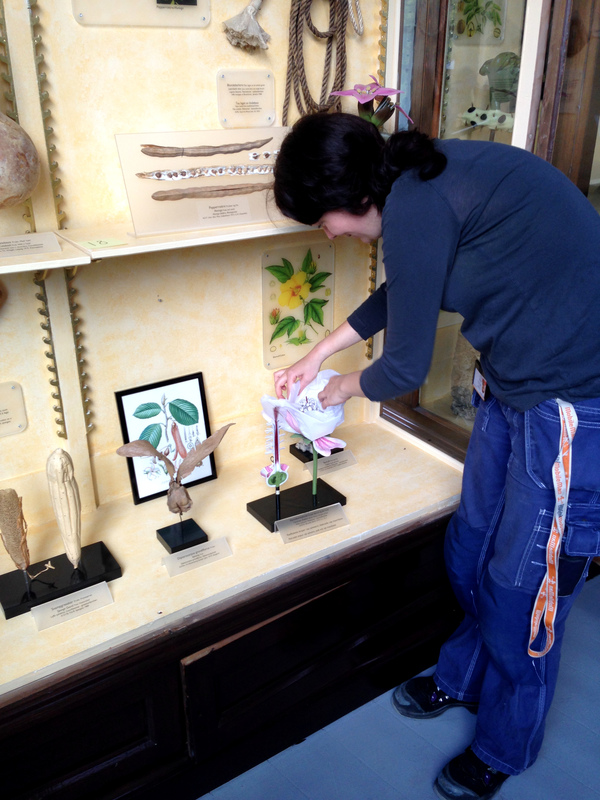 We began with the botanical displays consisting of enlarged models of flowers and dried specimens. 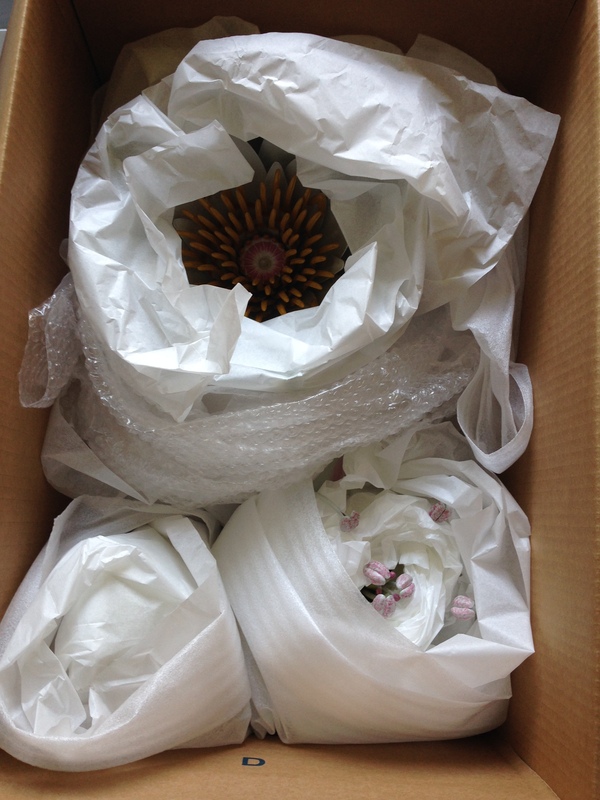 The objects here are generally very fragile and need delicate handling with only a few things in each box and lots of padding material. Some display mounts are quite big and easily broken and has to be transported by hand to the conservation lab. 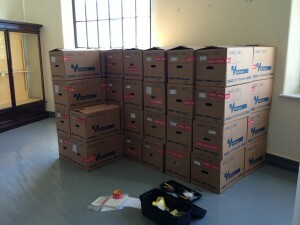 All boxes will be carried out by hand as well to minimize vibration and shock. Dismounting and packing this exhibition room only took two days!